Do you wish for Expert Negotiating and Exceptional Service? Do you have the highest expectations from the Sellers/Buyers Agent you hire to represent you and your family? Do you demand Hi Tech marketing, "outside the box" thinking, and a "make it happen" attitude? Would you benefit from being associated with the most recognizable Real Estate brand in the country COLDWELL BANKER? Sherwood and Diane have been servicing clients for over 15 years in the Wilmington area. They combined Sherwood's 20 year construction knowledge with Diane's 22 year Real Estate knowledge to build their own Team of Professionals specializing in Residential and Commercial Real Estate. Sherwood is a Cartus, USAA, & NFCU Certified Agent to best serve our relocation clients. Sherwood and Diane feel it's important to provide all of their clients a "Red Carpet, VIP experience." They strive to be "The Best" by building solid relationships with clients and promise to go the extra mile. 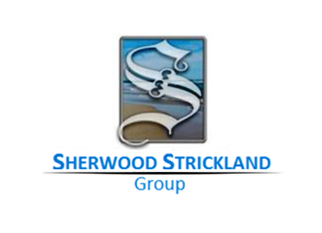 The Sherwood Strickland Group sales philosophy is to match a buyer with their dream home as well as their lifestyle. The Sherwood Strickland Group is committed to providing clients the Professionalism and Integrity needed to ensure they feel secure in what is one of the biggest decisions and purchases in their lives. Sherwood and Diane's personal business philosophy includes a personal touch that helps them get Exceptional results. "We never want to be the biggest...we just want to be the best at what we do!" Sherwood says, "We would rather serve 50 clients to the highest level than have 100 clients who do not feel fulfilled." That philosophy has paid off and the Sherwood Strickland Group continues to produce top sales close to 70 transactions a year in Residential and Commercial Real Estate. With unparalleled enthusiasm and boundless energy, they produce the highest results for their clients. Sherwood & Diane are 2 of only 23 Master Certified Negotiation Experts in all of North Carolina...it's their experience, personal style, client sensitivity and innovative ideas that net Bottom-Line Results. Sherwood Strickland Group is honored to be among a small preferred group of top real estate brokerages, in Wilmington NC, selected to serve military members and their families within the USAA Real Estate Rewards Network. Our USAA-certified agents are selected based on demonstrated ability, experience, real estate knowledge, and a track record of exceptional customer care. Sherwood and Diane are also Global Luxury Specialists, with additional designations from CLHMS Guild - their training and knowledge of the Wilmington luxury marketplace ensure each client has the highest quality service and experience. I couldn't be happier with the services and guidance I received from Sherwood and Diane Strickland in helping us secure a fine building lot and excellent contractor for our new home. They provided invaluable insights to the region and the market (I live 400 miles from Wilmington) and we benefited from Sherwood's experience in home construction. Sherwood and Diane provided the honest pros and cons that we needed to make educated decisions and they supported us throughout our journey and were present during our initial meeting with the builder. Sherwood and Diane have my highest endorsement. What a wonderful experience! Association with Sherwood and Diane was highly privileged. From day one, we knew that we are in safe hands and dealing with a team who will go miles to protect client’s interest! They are highly professional, dependable, responsible and honest. They are a great team; who brings incomparable knowledge, huge patience, personal touch, anytime availability to answer any questions, strong local network for due diligence and most importantly; negotiation skills to ensure that deal will be in their client’s favor. Absolutely the best experience we have had with realtors. I rate them A++ in all areas. I would, without any reservation, strongly recommend them to anyone with real estate needs. Sherwood and Diane were a great help in getting our house sold super fast. They explained everything in detail on the pricing and stayed in close contact throughout the process including all the closing changes. They are savvy negotiators. We recommend them both if you want to have your house sold quickly! Sherwood and Diane's great teamwork, combine with their knowledge, made the transition of selling our house easier and less stressful for us. They are always there to answer questions and offer solutions thats reasonable for all the parties involved. Its been a great experience overall! We met Sherwood quite by accident. We are from NJ and vacationing in Wilmington specifically to search for a possible retirement home. We inquired about a property online, and Sherwood responded immediately. It was the best chance encounter we ever had. Sherwood’s knowledge of the area is unparalleled, and his negotiating skills unmatchable. Based on his guidance and expertise, we landed on the perfect home. But even more than that, we made a friendship that will last throughout our lifetime. If you’re searching for a home in Wilmington, you’d be foolish to choose anyone else. Sherwood and Diane were very helpful during the purchase of out first home. They were always available anytime when we had any questions, or concerns. They were always professional, fair, and honest with us. Sherwood and his team made my first home purchase totally painless. They were quick to respond to my questions, whether it was on the weekends, or evenings. He went so far as to recommend and help coordinate fencing service after I had purchased my home. If I need real estate advice or assistance in the future, Sherwood will be my first call. Fantastic Realtors, great knowledge of the local area. Would highly recommend for anyone who is looking for a knowledgeable local couple that has been in the business for a long time. Sherwood and Diane specifically were able to accommodate us by face timing many houses for us, as we were originally out of state buyers. This was very helpful and provided us a showing of the house, that we wouldn't have had otherwise. Our experience with Sherwood and Diane was great. Both knowledgeable and made the entire process a breeze. Sherwood pays a lot of attention to detail when out checking out potential homes. I would definitely recommend them to any prospective customer. I would consider my family and I to be very privileged to have had Sherwood as our agent. My wife and I came up from FL looking for a home in Wilmington, with limited time to visit the area. From beginning to end Sherwood was always prepared, extremely profession, and always looking out for our best interest. His knowledge of the area and quick responses to our questions gave us the warm and fuzzy that we were in good hands. As I write this review, my wife and kids at our new home waiting for me to finish up my last day at work down here in FL. They are extremely happy with our home and the community we reside in. I can not wait to join them. Thanks Sherwood!! Sherwood and Diane are the best. They went above and beyond to help us have the best experience selling our home. We felt very confident with their expertise and honesty. They deserve more than five stars. Sherwood and Diane Strickland were outstanding. Their depth of knowledge, experience and expertise shone through at each step of the transaction. They helped us buy and close remotely in North Carolina while still living in Massachusetts. We would not have been able to do this without their support and their willingness to go the extra mile. They also remain super helpful post close - a time when the Realtor can lose interest and walk away. Both Sherwood and Diane have remained engaged with us and have been willing to help even though the purchase is now complete. It has been a pleasure to deal with them, and I'd strongly recommend them to anyone with real estate needs. Very professional and knowledgeable. Sherwood and Diane were very congenial helpful at all times and work as a perfect team. I would highly recommend them with their expertise in representing a homeowner to sell their home. Diane and Sherwood Strickland exceeded expectations with the sale of our home! They provided personalized and tailored service throughout that made this one of the most pleasurable experiences. They provided expert market analysis, advice, strong negotiating skills, and their keen inisight led to a quick offer and subsequent sale. They worked flawlessly and seamlessly through all the technical aspects of the transaction that minimized any stress and kept everything on track and on-time! Highly detailed oriented, extremely professional and courteous! Highly recommended and would use again for any future transactions! Sherwood Strickland and his wife Diane were a realting power couple when it came to helping us buy and close on our house in 2018. Diane's extensive realting knowledge and Sherwood's background in construction/ability to point out any flaws or positives really helped us go through with them as our realtors. They were incredibly helpful and made the process seem very easy for us first tine home buyers and we will definitely keep in touch with them should we decide to move or sell in the future. Very professional and knowledgeable about the area and the local housing market. Sherwood is very personable and accommodating. He engenders my trust and complete confidence in his ability to meet my personal needs and interests with tireless energy and concern. I recommend Sherwood without reservation and would not hesitate to refer him to my closest relative or friend. Sherwood and Diane helped me with my recent home purchase. They were great at following through right to the end of the process. During the search process Sherwood was always willing and able to show me numerous properties so I was guaranteed to find the perfect home. Once I found it, Diane and Sherwood both helped make sure I was happy with the purchase price and all the negotiating steps along the way. I think what really sets them apart is their local knowledge and expertise. Sherwood is a former contractor so his eye for detail and understanding of what needs to be fixed is invaluable. They also have someone on speed dial for any issue that may arise during the process because they have worked this area for so long. I am incredibly pleased with my home buying experience and would highly recommend Sherwood and Diane to anyone looking to buy or sell in Wilmington! My wife and I met Sherwood and Diane through a referral from our sister and husband. Sherwood and Diane dazzled us with their availability, insights, advice, local knowledge, and amazing humor. Absolutely the best experience we have had with realtors...we would heartily recommend Sherwood and Diane to anyone needing to find a home that fits their needs and budget. Sherwood and Diane took the stress out of selling our home. The second they walked through our door they took care of us. The selling process went so quickly, we found our buyer in under two weeks. If we had questions or concerns they answered quickly and communicated well. I’d recommend them to anyone! Achieving the best value in our home took concise analysis and presentation by the Strickland Team. Diane Strickland was attentive to our likes and dislikes, saving time. When negotiations got tough we were glad Sherwood brought everyone together for a successful closing. Sherwood and team make selling your home a very easy experience. Sherwood's ability to negotiate along with Diane's coordination and professionalism throughout the time my house was on the market shows they are a great team! Very professional and highly recommended them. Its easy to tell they have been doing this for a long time. Sherwood and Diane were a great team that walked us through the process of buying our first home. They were always very responsive and answered all our questions in a timely manner. We are so grateful to be in our new home with our family! Sherwood & Diane were excellent at showing properties that we would be interested in...when we found the property we wanted to buy, Sherwood made sure to get an offer in right away as properties are selling quickly...they were very responsive to answering questions that we had to get us through the buying process & made sure paperwork & home inspections were done in a timely manner...would definitely recommend Sherwood & Diane. As a first time buyer I was very nervous about buying but they made the process as painless and exciting as possible. They were familiar with the VA loan process and were always a step ahead. I relocated to Wilmington about 8 months ago. I found Diane and Sherwood through company relocation program. I am very happy with their service. They very professional and knowledgable. With impressive construction business background, Sherwood knows the house structure from inside out. When you see an interesting house, they never hesitate to show you the house, they always try to let you grab the opportunity ASAP. They are not only great professional that helps the finding, negotiation, paper work. Best of all, they have connections with local business, from inspections, lending, attorney to handy man. **update**, After living in the house for a while, one major issue I learnt, in a hard way, they failed to advise me, as local expert, (not sure intentionally or not). Remember there is always a conflict of interest between you and your agent..
Sherwood and Diane took the time to make sure we got the best deal possible on our home purchase. They worked hard to find homes that fit our needs. Thanks! Sherwood and Diane were willing and prepared to help us find the house we were looking for. From the very begining, they were very responsive and helpful through emails and setting us up with a portal using our requirements for houses. If we had questions, they had answers and in a relatively short amount of time. They were willing to work with us around our schedule (we only had a few days for house hunting) to set up showings. Sherwood was friendly and easy to talk to during showings. They both did what they could to help us get into a home we would love. We would recommend Sherwood and Diane Strickland to help you find your new home! Sherwood has gone above and beyond the typical duties of a real estate agent. He responds quickly to questions and received quotes for a painter and a fence before my closing. I highly recommend him and his wife, Diane. They are a fantastic team! Sherwood was outstanding. Very professional and knowledgeable. When we found the house we wanted, Sherwood was driven to close the deal for us. It was an unusual situation with the seller having two mortgages and personal relationships with the banks that complicated the situation. Sherwood was determined to find a solution and navigated the complex scenario perfectly. We couldn't be happier with Sherwood's performance. A most knowledgeable professional, Sherwood Strickland had the expertise to assist me in every aspect of my search for a home. Sherwood understood my needs and directed my search over a period of months as I was situated in southern California during my search. I cannot speak more highly in regard to his patience and excellent service to me. He has a special knowledge of the Wilmington area and its surroundings which proved to very helpful in my decision making. He is one who not only understands real estate including obtaining income property, but also financing, local regulations, understanding of construction methods and materials, areas which might be of concern with regard to flooding, hurricanes and amenities such as convenience to shopping and quality of schools. I recommend Sherwood Strickland without reservation. Sherwood and Diane were great. I had already started the process of moving up to DC and as such, I was gone much of the time. They worked with the contractors to make sure everything was all ship shape by the time we went on the market. Because of all that work up front, the house sold very quickly. If I had another house to sell in the area, I would use them again! We were from out of state and chose Sherwood and Diane based upon their negotiation expertise. We have to say, they are a powerhouse team! They reviewed multiple houses with us long distance through face time. When we came out in person, they gave us unlimited time at all hours of the day to help us find our dream home. Can't say enough about these two. If you want undivided attention, sharp negotiators, and local experts who shared insights about the community--as well as two very fun and loving people--then this is your team! Where do I start with the accolades: My venture into purchasing a home started many, many months ago because I could not articulate fully my needs in a home. Sherwood and Diane helped me to determine what my needs are over my wants by taking me to dozens of showings. Little by little they helped me to fine tune the needs. Then, we had to find the right location, again they were patient with me until a settled in on two areas. Of course they guided me by sharing the pros and cons to all areas. Now I was ready to start looking for my forever home. The Wilmington market is hot and I put solid bids on multiple homes but ultimately lost out. What I really appreciated from the team (Sherwood and Diane) was their honest appraisal of the homes. Many agents would simply tell you to add more money to the bid. They cautioned me often not to exceed my budget and not to pay more for the home then it was worth. In the end I found a home while I was away on business. I was unable to be their in person but, I had developed a trusting relationship with my realtors and had them view the home for me. (They knew exactly what I wanted because they took the time. Not all realtors will be as devoted to their clients.) I made an offer over the phone based on their recommendation. I was not disappointed when I saw the house for the first time. I was blown away. It was a perfect fit. The next hurdle was the closing. I can't go into too many details but there was a solid hurdle in the way. They worked hard to find a solution. I was able to complete my close in less than 30 days. You will not find a better realtor in the Wilmington area. It was a pleasure working with Sherwood. He is very knowledgeable, helpful and great to work with. He stayed on top of every aspect of the purchase/build of my new home. I'm already getting him involved with another project of mine. Thanks so much for all your help. Sherwood and Diane know not only the area, they know the design and builders of, in my opinion, all the communities. Having previewed and shown thousands of homes over the years, they do a fantastic job of matching clients needs and wants to the homes available for sale. They communicate constantly with one another and so no detail is overlooked. They have great sensibility when working with a client; in that it is as though they are walking in the clients shoes. Sherwood is the consummate professional. His support and continued followup on my listing were the keys to the sale. During the sale when complicated barriers were presented Sherwood contacted, coordinated and presented solutions which resulted in success. I highly recommend Sherwood and Diane to anyone seeking true knowledgeable real estate representation. It doesnt hurt that they are really nice people either. Sherwood was an outstanding realtor that took the time to listen to what we wanted in our next home and then assisted us in finding the perfect house. Once we decided on a house, Sherwood helped us find contractors to complete the many renovations we needed to make this house our dream home. I would highly recommend Sherwood to anyone. Sherwood goes above and beyond to make sure you are happy with your decision as well as show you all of your options. He is incredibly helpful and knowledgeable! He spent 2 days showing us approx. 20 houses to give us an idea of the area and what is available. If I were asked to describe Sherwood and Diane in two words it would be attentive and efficient. They truly listened to the needs and wants we were looking for in a house and every obstacle that came up during the building and closing of our house they were able to quickly fix it without us having to stress. This was very impressive to us because we were having a home built in North Carolina when we were living in New Jersey. During the process, they fought to lower our purchase price, pushed to get us extras, sent us pictures of the process, caught mistakes that the builder made and already had them fixing them when we were informed of the mistakes. They were so impressive that Sherwood even drove me to the utility company after our closing to make sure I had no issues. Having bought and sold a number of homes in New Jersey and Florida, I have never seen any realtor provide as much customer service as these two have. Since then I have already introduced them to my sister in law, her best friend and they will work with my in-laws when they move down next year. The Sherwood Strickland group was able to find and move me into my new house within 30 days. As a first-time homebuyer, the process could not have been any easier. We went out and viewed 5 homes on the day we met, none were for me for various reasons, but the heartache stopped there. One day later he brought me to a house and the offer was made and eventually settled. They analyze your price range and desires like no one else in the business; and are fast to get you where you need to be. I don't give 5 stars to anyone, but this team deserves it. Sherwood and Diane made our home buying experience wonderful! We moved from Pennsylvania to Wilmington, NC and were clueless about the area, neighborhoods, schools etc. Sherwood and Diane know it all! They are super informative, professional and help any way they can. We couldn't have picked better realtors. They go WAY above and beyond, are well known and respected here and are just great, great people. Sherwood is very professional and easy to work with! Very knowledgeable about the Wilmington area home market. He and Diane make a great team. They were very responsive with any questions or concerns I had about the new home buying process. I had very good experience and highly recommend! I found Sherwood and Diane on Zillow when I was looking to move to Wilmington. They responded to my request quickly and were very knowledgeable about the area. Their communication was great and very responsive. They made the whole process easy and understandable. Their knowledge of local vendors was a huge help. Great team and would work with them again and recommend to anyone! Sherwood and Diane are an amazing team. They listened to what we wanted in our house and the rental income we had hoped for. They worked with us several days. We did find an amazing house. Of course is was so nice there were several offers. Sherwood and Diane had so much local knowledge and expert negotiation skills our offer was accepted. They worked quickly and very professionally throughout the process. They also had the local contacts needed for inspections, repairs, mortgage contacts, etc. I would recommend them highly. As nonresidents of NC, we needed to identify replacement properties for a 1031 tax exchange. Sherwood was recommended as an exceptional realtor. And, from our experience, he most certainly is. My wife , son, and I met Sherwood and Diane Strickland (herself an accomplished professional) at Topsail Beach, NC. Beforehand, Sherwood spent time speaking with us about goals. We agreed to identify 4 properties within our plan. When meeting, Sherwood reviewed the properties, pointing out strong and less so qualities, rental histories, and potentials for growth. He discussed these points further on site and fully answered our questions. We found a home and successfully closed. Sherwood was instrumental and earned an A+. We were so thrilled we were referred to the Strickland team of Sherwood and Diane. They are truly a dynamic duo! They worked tirelessly from offer stage to our close date just 32 days later; we had a date we needed to stick to and they made sure it happened! They were always super responsive to both emails and phone calls at any time! We feel very fortunate to have worked with them on making our dream of Heline Hideaway II a reality! They are the BEST. My husband and I worked with Sherwood when we were on the hunt for our forever home. Sherwood and his team helped us tremendously from start to finish. They were always there when we had a question, and always knew the answers. I appreciate them more then they know for getting us to "OUR FOREVER HOME"! Diane and Sherwood made the entire process of buying our dream home a magnificent experience. Their vast knowledge of area real estate coupled with their boundless energy to help us find just the right home was evident from the beginning. Diane's level of expertise in executing required documentation, scheduling necessary inspections and keeping everything running as efficiently as possible far exceeded our greatest expectations. Sherwood came to our rescue on more than one occasion to literally become our eyes and ears when we were unable to physically be present. After closing on our property, Diane and Sherwood continued to reach out and offer any help we may have needed being new to the area. It is truly a wonderful feeling to have had the opportunity to work with two very dedicated, efficient, responsive, lovely individuals. Thank you Diane and Sherwood for everything!